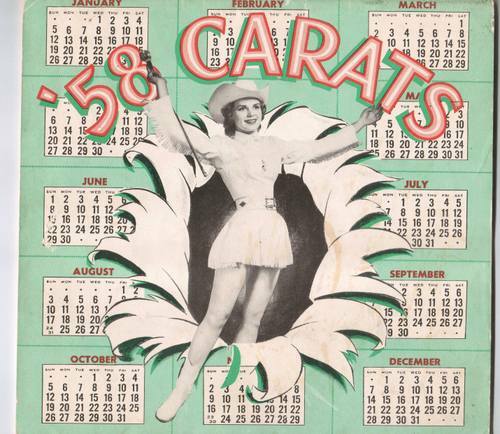 We have John Echoff to thank for this program from the Milby Coed Cadets 1958 Carats. You will remember that this extravaganza was held each year at the Houston Music Hall. Enjoy the other pages from this program that follow. If you have any photos or programs from a Milby play or other program, please send scans to Karla as an attachment to an e-mail (scans must be in jpeg or gif format) or send her the program by snail mail (to be returned) and she will scan and publish them in this blog photo album. E-mail her for the address.